Ulster manager Pete McGrath has named five Tyrone players in his 24-man squad for Saturday's Inter-Provincial Football semi-final against Connacht. Sean and Colm Cavanagh, 2015 All Star Mattie Donnelly, Peter Harte and Niall Morgan are all included alongside four players from Ulster champions Monaghan. 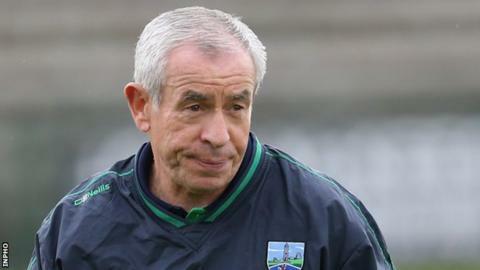 McGrath has named four players from his own Fermanagh team with two from Derry, Armagh, Cavan and one from Antrim. Donegal is the only Ulster county not represented in the squad. Fermanagh captain Eoin Donnelly will skipper the side which includes fellow Erne men Sean Quigley, Tomas Corrigan, Barry Mulrone. Four defenders, Colin Walshe, Dessie Mone, Drew Wylie and Karl O'Connell are included from Ulster champions Monaghan, with Tony Kernan and Aaron Findon representing Armagh. Antrim midfielder Niall McKeever is also included for the game in the Athletic Grounds. The winners will play Munster or Leinster, who meet at in Newry on Saturday, in the inter-provincial final on Sunday in the Athletic Grounds. Managers will allowed to field nine substitutes, a welcome development for the winners of the Ulster v Connacht tie who will only have 18 hours to recover for the final. Ulster inter-provincial panel: N McKeever (Antrim), A Findon (Armagh), T Kernan (Armagh), R Galligan (Cavan), G McKiernan (Cavan), C McKaigue (Derry), B Rodgers (Derry), C Laverty (Down), K McKernan (Down), D O'Hare (Down), M Poland (Down), T Corrigan (Fermanagh), E Donnelly (Fermanagh), B Mulrone (Fermanagh), S Quigley (Fermanagh), D Mone (Monaghan), K O'Connell (Monaghan), C Walshe (Monaghan), D Wylie (Monaghan), C Cavanagh (Tyrone), S Cavanagh (Tyrone), M Donnelly (Tyrone), P Harte (Tyrone), N Morgan (Tyrone). Final at Athletic Grounds on Sunday 6 December, 14.30. Final at Pearse Stadium on Sunday 6 December, 13:30.